Dr. Lester M. Salamon, head of the JHU research team, is Senior Research Professor at JHU-SAIS Bologna. He is a leading global expert on the non-profit sector and the tools of government. Salamon conceived, organized, and directed what is widely recognized as the most ambitious and systematic global effort ever undertaken to conceptualize and analyse the size, composition, financing, and role of the private non-profit sector, philanthropy, and volunteering around the world. Now spanning over forty countries, this project has generated the first reliable statistical portrait of the global civil society sector and put in place procedures to update this portrait regularly through the award-winning Global Civil Society series of books, which he has edited. 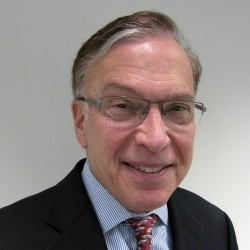 Expanding on this work, Lester M. Salamon worked closely with the United Nations Statistics Division and the International Labour Organization to formulate and disseminate new official procedures for governments around the world to use in collecting regular data on the third sector, thus institutionalizing the capability to track this increasingly important set of institutions. Lester M. Salamon serves on the Editorial Boards of Voluntas, Non-profit and Voluntary Sector Quarterly, Annals of Public and Cooperative Economics, and Atlantide, the journal of the Italian Subsidiarity Foundation. He has also served as Deputy Associate Director of the U.S. Office of Management and Budget and as a member of the Advisory Committee on Voluntary Foreign Aid to the Agency for International Development. His book Partners in Public Service: Government and the Non-profit Sector in the Modern Welfare State won the 1996 ARNOVA Award for Distinguished Book in Non-profit and Voluntary Sector Research and was awarded the 2012 Aaron Wildavsky Award of the American Political Science Association for the most enduring contribution to the field of policy analysis. Lester is lead researcher for Third Sector Impact work area 2 (conceptualization and measurement of the third sector), and the conceptual integration of findings and the final report. He serves as executive board member together with Annette Zimmer (MU), Karl Henrik Sivesind (ISF) and Bernard Enjolras (ISF). Developed in cooperation with an international team of statistical experts, and approved by the United Nations Statistical Commission in 2002, the UN Handbook on Nonprofit Institutions in the System of National Accounts offers countries a standard set of guidelines for gathering data on the nonprofit sector so that it can be seen and analyzed as a distinct sector in national economic accounts. The resulting “satellite accounts on non-profit institutions” pull together a much more comprehensive and reliable picture of the civil society sector than previously available, making it possible to gauge its contribution and track its evolution over time. As part of this process, statistical agencies are also called on to estimate the scale and value of the volunteer work these organizations mobilize and to include this in estimates of economic activity. This Handbook is currently being revised. Volumes One and Two of the Global Civil Society series present a comprehensive country-by-country analysis of the scope, size, composition, and financing of the civil society sector in both developed and developing countries. Volume One examines data from 22 countries in Western and Central Europe, as well as Latin America, North America, Asia, and the Middle East. Volume Two expands this analysis to 36 countries, examining 14 of those countries in depth with a special focus on Africa, Asia, and the Middle East. International Labour Organization (2011) Manual on the Measurement of Volunteer Work. Developed in collaboration with the International Labour Organization and an international Technical Experts Group, the ILO Manual on the Measurement of Volunteer Work is intended to guide countries in generating systematic and comparable data on volunteer work via regular supplements to labour force or other household surveys. The objective is to make available comparative cross-national data on a significant form of work that is growing in importance but that is often ignored or rarely captured in traditional economic statistics. This brief report provides the latest comparative findings resulting from the implementation of the UN Handbook on Nonprofit Institutions in the System of National Accounts. This report includes data on nonprofit employment, volunteering, fields of activity, contribution to GDP, expenditures, and revenues in 16 countries around the world. With the resources of both governments and traditional philanthropy barely growing or in decline and the problems of poverty, ill-health and environmental degradation ballooning daily, it is increasingly clear that new models for financing and promoting social and environmental objectives are urgently needed. Fortunately, a significant revolution appears to be underway on the frontiers of philanthropy and social investing that is providing at least a partial response to this dilemma. This book examines the new actors and new tools that form the heart of this revolution and shows how they are reshaping the way we go about supporting solutions to social and environmental problems throughout the world. Based on the Introduction to the full New Frontiers of Philanthropy book Leverage for Good: An Introduction to the New Frontiers of Philanthropy and Social Investing by Lester M. Salamon (Oxford University Press, April 2014) offers an accessible overview of these new actors and tools, an analysis of the forces promoting these developments, and an introduction to the challenges they still face. This project is undertaking a major revision of the UN Nonprofit Handbook which will take into account both the implementation experience to date and recent changes made in the broader System of National Accounts (SNA) of which this Handbook is a part. In addition, work carried out under the TSI to define the broader Social Economy, may be integrated into the Handbook in order to better capture these important institutions. This project is being carried out in collaboration with the UN Statistics Division and a Technical Experts Group. A crucial barrier to the development of community foundations and other community-based philanthropic institutions in less-developed regions of the world has been the general lack of capital to underwrite their operations. In many of the same regions where foundation-building efforts are going starved for funds, enormous privatization sales are transferring huge stores of publicly owned assets into private hands. The PtP project explores and promotes the option for building community-based philanthropic endowments by capturing a portion of the proceeds of these privatization sales. This project is carried out under the eigis of the East-West Management Institute.